Everywhere we look, it seems that designers are thinking about accessibility — and that’s a good thing for everyone. On campus, we witness how automatic doors help not only those with crutches, but also those who are carrying heavy loads. Sidewalk ramps help those pulling carts and walking bicycles as well as those in wheelchairs. Furthermore, participating in the educational experience requires navigating a variety of spaces, physical and digital. How accessible are these online interfaces today? And how accessible do they need to be? What can we do to make course material accessible to as many people as possible? Canvas is the center of online learning at Northwestern. Fortunately, it is designed for accessibility, containing many useful features such as support for screen readers, keyboard shortcuts, and quizzes that can be set for time-and-a-half. Yet, while Canvas, itself, might be accessible, what about the course content that is uploaded to Canvas? One of the biggest misconceptions about online accessibility is that all electronic formats, such as PDFs and Microsoft Word documents, are automatically accessible. However, that is not the case. PDF (or, “portable document format”) documents are among the most common course materials uploaded to Canvas. Despite being digital, many PDF documents are not immediately accessible to those with vision disabilities, especially if those PDFs were made from scanners or photocopiers. Furthermore, while many can still read the documents, the documents can be frustrating because they are not searchable, nor can they be highlighted. Bad PDF. What would it take to make these “bad” PDFs better? A huge and easy first step toward accessibility only takes a few minutes. Adobe Acrobat offers the ability to pass these PDFs through a process called OCR, or optical character recognition. In this process, individual letters and words are deciphered by the software and stored as searchable and selectable content. This allows everyone to more easily find information in the document through search functions. Better PDF. OCR processing makes PDFs readable but not 100% accessible. 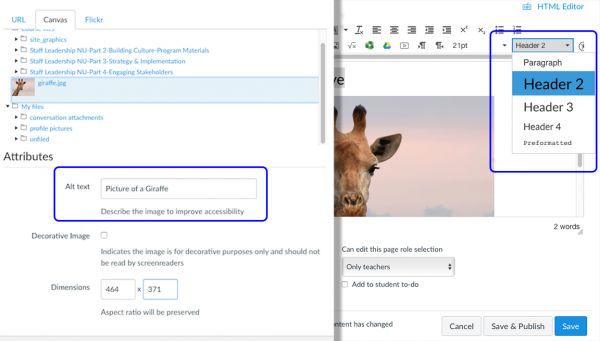 According to Jim Stachowiak, further steps including “tagging, adding headings, adding alternative text to pictures and graphs, and making sure that the reading order is correct” are all required to make a document fully accessible. Great PDF. Making content accessible can have benefits for everyone. But it is also the law! The Americans With Disabilities Act (ADA) makes clear in Title II that communication with people with disabilities need be as effective as communication with people without disabilities. Title III mandates that there be public accommodations of people with disabilities which includes making digital spaces accessible. At Northwestern University, it is imperative that digital spaces are accessible to everyone. In 2017, the New York Times reported on several colleges in New York that faced lawsuits due to inaccessible web content. These proceedings have been a wakeup call to higher education institutions to consider the accessibility of all websites and digital interfaces. Making the campus physically and virtually accessible requires a team effort. AccessibleNU works to ensure that all students have “full participation, equal access, and reasonable accommodation.” AccessibleNU works with partners such as Facilities Management to make sure that students can easily maneuver Northwestern’s buildings and with Northwestern’s Student Affairs IT to ensure that students can easily use the digital facilities that Northwestern provides. AccessibleNU also provides guidance to campus technology units like the Media and Design Studio and Northwestern Information Technology when designing web interfaces and purchasing technology platforms. One such recommendation is to follow the Web Content Accessibility Guidelines (WCAG) 2.0, developed by the W3C. AccessibleNU sets standards for faculty who are required to provide or arrange accommodations for registered students. Usually, this means making sure course materials are accessible and working with AccessibleNU to make course and content modifications as needed. Together, AccessibleNU and faculty ensure that students with or without specific disabilities are treated equally. PDFs: As previously mentioned, faculty can improve PDFs that are scanned documents through optical character recognition (OCR) in Adobe Acrobat.Through the “Recognize Text” tool, documents become searchable and selectable. While the results are not always as good as a “born digital” PDF that came from Microsoft Word, the extra effort leads to a significant improvement in usability. Microsoft Documents: Authors can take advantage of Microsoft Word “styles” to distinguish between headings, body paragraphs, emphasized information, and other categories of text to make it easier to navigate documents. The “styles” tool allows screen readers and other accessibility tools to better process the structure of information contained in the document. As a side benefit, the consistent use of styles makes it very easy to elegantly change the look and formatting of documents. Canvas Pages: Similar to Microsoft Word, heading and paragraph styles can help establish the structure of Canvas pages, making them easier to navigate. The rich content editor also offers faculty the option of providing “Alternative Text” that works as a supplement or replacement for images. Video: Sites like YouTube offer closed-captioning functions for videos and the ability to narrow search results to only videos that include captions; however it is important to keep in mind that YouTube’s automatic closed captioning is far from perfect —accuracy can be as low as 60-70%. Faculty should make sure to check that the captions are correct. Both YouTube and Northwestern’s Panopto video tool support uploading transcript content with videos to make videos accessible without sound, and searchable for certain words or phrases. Making accessible materials is easier than one might think, but sometimes the difficulty is in knowing how to take the first step. 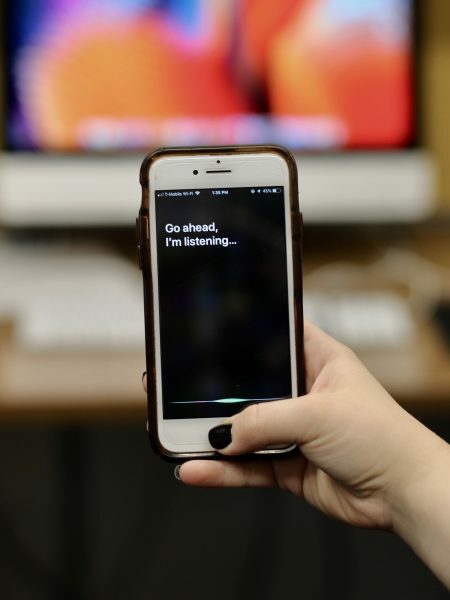 The Media and Design Studio has partnered with AccessibleNU and Information Technology Teaching and Learning Technologies to develop and offer a series of workshops offered throughout the academic year. These workshops focus on the challenges that students face while using digital interfaces and walk through some of the solutions that faculty can offer for PDFs, Microsoft Word documents, PowerPoint presentations, and videos. What do classrooms and workplaces today now have in common? While the lure of games has been around forever, its use as a tool of engagement only began to gain traction seven years ago. Since then, it has transformed into a buzzword for the classrooms and workplaces of the future. But how much do we really know about gamification and how important is it for educators today? So keen is the interest in the topic that last month, Cecile-Anne Sison from the Media and Design Studio, Susanna Calkins from the Searle Center, and Kelly Roark of Northwestern IT held a workshop for interested faculty on how to engage students through gamification. Participants were invited to create their own fun avatar and award stars based on different parameters as introducing themselves to others or asking insightful questions. The workshop spoke to the benefits of gamification, design processes and strategies, and examples of successful gamification in education. Achievement through points, badges, leveling and leaderboards. Rewards through collectibles, bonuses or power-ups. Time through a countdown to create a sense of urgency. Personalization via avatar selection and customization. Micro-interactions (toggles, special effects and animated rollovers to round out the experience. Gamification has had some interesting applications in recent times. In the aftermath of Hurricane Sandy in 2012, digital agency, Mother, partnered with video game developer, Zynga, to create Repair the Rockaways. Players could purchase virtual bricks and watch how shattered houses in Rockaway, New York were reconstructed through their donations. To encourage active content engagement, digital media website, Mashable, created the gamified platform, Mashable Follow, that allows readers to customize their news consumption and earn badges for sustained participation. In another example, a nonprofit collective, Live58, launched Survive125, a poverty simulation where users virtually experience a day in the life of a 26-year-old bricklayer from India who lives on $1.25 a day. The versatility and applicability of the technique is perhaps what has drawn educators towards gamification as well. Today, school and university classrooms are filled with students from the so-called Generation Z – or iGeneration – the first generation to be born into the digital world. With their 8-second attention spans, sustained engagement is crucial for a productive learning experience. How can teachers and faculty gamify classrooms in an ever-changing landscape? A currency that illustrates what the student achieves by completing a stage. A level which defines each stage and how much currency is needed to get there. A rule set because the games need to be structured. In approaching the final gamification of the course, educators can focus on self-elements that encourage students to focus on their own learning or social elements where students are engaged with the classroom community. It is important to note that gamification does not only imply teaching through the use of games. 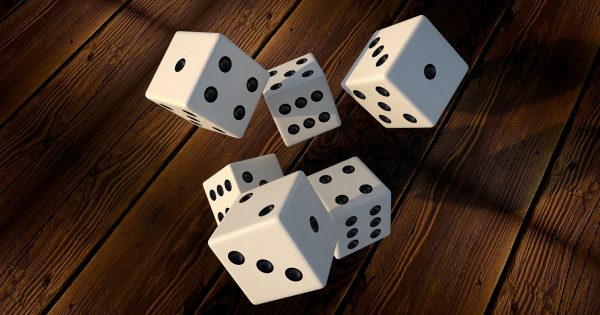 Rather, to gamify a class or a course can also include adapting the entire class format to a game, where the elements mentioned above come in. A graph illustrating online search patterns for the term ‘gamification’ over the years, via Google Trends. On the Northwestern campus, gamification has had an interesting history. In 2013, Max Dawson, a former professor of the Radio, Television and Film department, designed a gamified class to explore the impact of reality television on the American television industry. Titled The Tribe Has Spoken – Surviving TV’s New Reality, the class included elements such as student ‘tribes’ who could win immunity challenges and scavenger hunts mediated by the class Twitter feed. In fact, Dawson himself went on to be a participant on Survivor in 2015. Gamification has certainly cemented itself in mainstream consciousness with its application in fields such as education, health and even community service. With the increased emphasis on hybrid learning penetrating classrooms today—and, not to mention, an urgent push to keep our digital natives involved and interested– it seems like it is here to stay for a while. Academia often upholds its roots in paper and pen with more traditional forms of scholarship. Yet, to prepare students for the working world beyond college might mean to further embrace video and media, not only as something to be consumed, but as something to be produced.